There are countless “worth a try” ideas to keep fibromyalgia flare-ups at bay. As a Fibro Warrior myself, I have tried a good number of things, from grandma’s remedies to state of the art therapy. Some have helped and some have not, which makes. You would never expect a shirt with only one size and one shape to fit everyone in the world. Same goes for most things in life, including items on this list! Try them or don’t, regardless I would love to see in the comments how you alleviate your fibromyalgia symptoms. And now, ladies and gentlemen, here are DOs #16 through #29. Plus one. I know it’s counterintuitive. Logically, if your body hurts, you should rest. And let me preface this coming point by saying that if you are in the middle of a flare-up, you absolutely should not push yourself and/or exercise intensively. That just would be doing the opposite of what you are trying to achieve, which is an overall and lasting feeling of well-being. 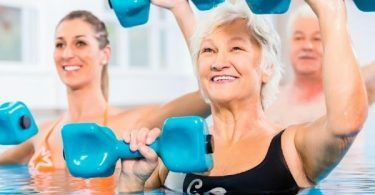 The first time I was told that exercise might help, I was more than skeptical. After all, how could anyone expect me to follow an exercise regimen when I could barely get out of bed?!? I trusted the doctor who directed me to get moving to keep moving. So I decided to give it a shot. I started slow by walking around the block in the morning. Little by little, I increased my radius. Soon, I was walking around two miles every day! 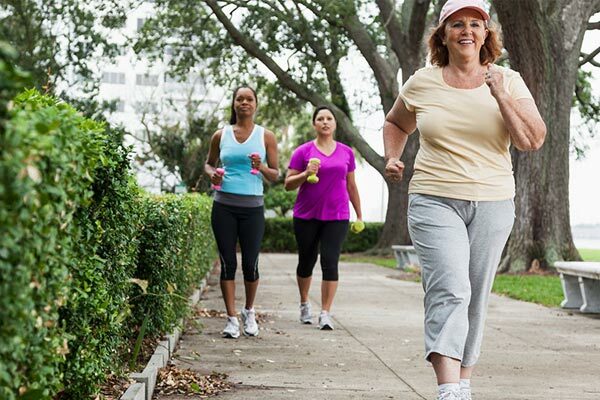 Walking is the perfect low impact exercise. No one is asking you to follow a fitness routine that would make Rocky Balboa blush. But the idea here is to move your body so that it does not get too “comfortable” in the positions that don’t hurt. Let’s take a wrist for example. If keeping it extended prevents it from hurting, because bending the wrist hurts, then you will automatically keep it extended. Except that after a while, bending your wrist will hurt more and more. So you may be assigned some sort of physical therapy to slowly get your wrist to bend again without hurting. This happened to me, by the way. My wrist was a mess and I was so afraid to move it that after a while, I couldn’t move it at all. Walking will help your entire body moving around in a nice, even manner, without putting too much stress on your body. So put on your nicest sneakers, and get out there! I hate this one. Hate it, hate it, hate it. I mean, I’m practically telling you to kiss burger and ice cream shakes goodbye. What kind of person does that?!? This is the worse kept secret in the world: you are what you eat. Unfortunately, if you ingest more junk foods than healthy foods, your body will suffer for it. That’s just common sense. Your body needs a balanced supply of nutrients to strive. I think that’s all I say about that, because I’m starting to get annoyed with myself for daring to cut tacos and chips from my diet. I know it makes sense. I know it’s rational. And I know it’s what is truly best for me. Disclaimer: I ma in no way advocating any type of dangerous activity involving needles! Unless a doctor gives you a shot of some sort (anti-inflammatory drugs for example), or you have a prescription for shots to take at home, you should NOT shoot up drugs, especially illegal drugs! What I am referring to here is actually acupuncture. I think I’ve said it before, but I’ll say it again: I believe in a balance of Western and Eastern medicines, along with an Holistic approach. With that said, it is not for everyone. Some people swear by Western medicine only, and some people will not do anything unless it involves Eastern principles. And you know what? Good for you. And for you, and for you too. No one can judge you or me for our beliefs. Let me explain. The theory is that our mind and body are held together by energy. This energy flows throughout our bodies. There are specific meridians or lines along which the energy flows. The acupuncturist inserts clean, sterile needles along those meridians in an effort to affect the life force within oneself. Lots of technico-technical lingo. Here what it looks like in practice: you will lay on your back and the acupuncturist will ask you some initial questions about your pain and where it is located, etc. He will then place needles along the meridians he feels would respond best to the treatment. The needles do not hurt at all. In fact, many times the patient doesn’t even know the needles are in place. Once the needles are in, the lights are deemed and often soft music will be playing. Sometimes, heat can be directed to your legs or arms. I’ve even had an acupuncturist who would start a guided meditation to relax me (more on that in DO #26). The treatment lasts around 20 to 30 minutes. The needles are taken out, and you can go on your merry way! Does it work? I can’t answer that for you. But for me, I feel like it works. It’s not measurable by any objective mean, so acupuncture has a lot of detractors. When I was a teenager, acupuncture helped me get over heavy, painful menstruations (oh hello, there, TMI!). For my fibromyalgia symptoms, I’m not sure the effect isn’t just psychosomatic. But hey! It’s 30 minutes spent relaxing, away from the demands of life, and focusing on me. At that point, I’ll take it! One last thing to put it in perspective: some insurance companies cover the cost of acupuncture. If it was just witchcraft, I font think they would bother. Massage therapy is the diggity-bomb! A trained massage therapist can help pinpoint areas of concerns and melt the stress away. First of all, the experience in itself is remarkably relaxing. You’re laying down in a seemly lit room with some chimes, harp chords or birds chirping in the background. Hard to be tense in that kind of ambience! Make sure you let your massage therapist know that you are a Fibro Warrior. The pressure applied and the technique used will need to be modified so you don’t leave the room more more than you went in. From experience, lying on your stomach is not always the best position. Personally, if I lay on my stomach, it takes me 20 Minutes to get back up, and three days to be able to walk again. No joke. So I have worked with my wonderful therapist to come up with a position that was both comfortable for me, and ergonomic for her. Just like with anything else in life, communication is key. Remember that you are there for you, and sparing the therapist’s feelings by not speaking up if you’re not comfortable is not going to help you. Of what the therapist is doing hurts, say something! Or if you’ve had a massage before, and you know exactly what will work or not work, explain that to your therapist. A good therapist will welcome the opportunity to help relieve your pain. If the therapist gets offended, hightail out of there! I mean, if they don’t have your best interest and your health in mind, why should you patron them? Another quick tip on massage therapy: I have learned the hard way that a 90 or even 60 minutes massage either has the same effect or less than a 30 minutes massage. I think it has to do with laying down in one position for too long. This old gal can’t do this anymore! Full honesty disclosure: I don’t do yoga. Now that we have established that I know nothing about yoga, let’s talk about yoga! Kidding aside, I’ve tried a few yoga DVDs in my day, and every time it left me feeling blah. In retrospect, it probably was my body’s way of telling yoga was working, but it really was not pleasant so I stopped. I know a few people who swear by yoga’s full body and mind wellness. It is important to note that yoga encompasses many diverse schools or theories. As a general rule, yoga combines meditation with physical poses that are more or less impossible to replicate for most normal people. It is an ancient art from India that has helped some people achieve the ultimate state of freedom from suffering and pain, both physical and emotional. Again, I don’t know much about it. But yoga has been cited by many reputable experts as a good way to relieve fibromyalgia symptoms, so it is worth mentioning here. I would caution against taking yoga with an instructor who has no credential. Due to the nature of the yoga practice, some balance and flexibility are required. The last thing you want, is getting injured while trying to get rid of your pain. The power of the mind is absolutely incredible, y’all! I’m sure you’ve seen this thing floating around social media where it says that if you make a conscious effort to smile when you catch yourself being down, pretty soon you will smile because you feel better. Now a positive attitude does not mean that you have to be fake! I’m not telling you to compromise your integrity at all. Just because you have a positive attitude in life doesn’t mean you won’t want to throw your arms up in the air sometimes. But keeping in mind that you can only change certain aspects of your life, while others are absolutely out of your control, is the first step in the direction of happiness. I don’t want to sound preachy, but being able to let go of the things you can’t change will free up your mind to influence the things you can change. Why put efforts and energy in worrying when you can put that same energy into a positive outlook? So in short, Hakuna Matata, fellow Fibro Warriors! It’s good for the soul and its good for the body! I’m not talking about your attitude, here. That was DO #21! Ha! Seriously, though, I am referring to chiropractic care. Chiropractors will tell you that adjusting your bones and putting them back in their intended position will help you feel better in many different areas of your life. It will help with joint pain, and muscle pain. Personally, I don’t like chiropractors. I find that I hurt more after an adjustment than before. So I have not been to a chiropractor since 2008. And I’m not going any time soon. But my friend Kelly swears that chiropractic care has helped her overcome the pain of fibromyalgia. This one is all on you. There is nothing worse than battling a chronic condition all alone. It is primordial that you find problem you trust who is willing to listen. Everybody tells you they’re there for you, but who truly is? Who is that one person who, no matter what, sticks by you? Once you have found that person, ask them if they would be willing to listen to you vent. Now, let me set this straight: My go-to person is my husband. But I have to admit that sometimes, he is more of a “fixer” than a listener. So I have to remind him once in a while that I am not looking for solutions. I just want to say out loud what is going through my mind. It’s that proverbial weight being lifted off your shoulders that is important. You cannot keep going if you don’t let some steam escape. I cannot stress this one enough. Find someone who will listen. It will help you cope with your struggle. This one is pretty self explanatory. Take supplements. Personally, I don’t take any supplement but I know that I should. With that said, I have read and heard from many people that the following vitamins and supplements were good to help manage fibromyalgia symptoms. 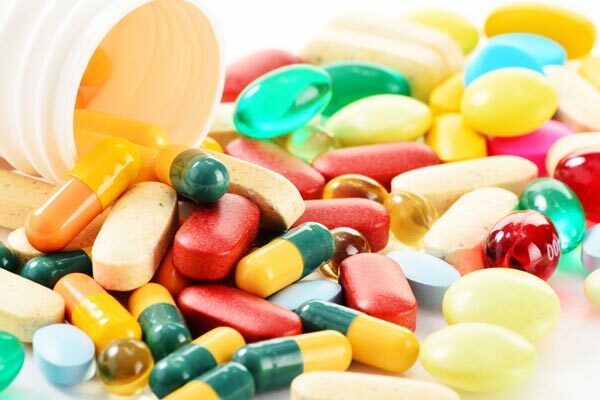 A quick word of caution: vitamins and supplements can interact with your prescription medications if you take any. You will need to make sure to talk to your doctor or pharmacist before taking anything more than your regularly prescribed medications. Vitamin D – it is said to help your physical functioning; plus, it helps with the morning fatigue. Ribose – this is an energy-building supplement naturally found in the body; taking ribose will help your muscles recover from fatigue faster, thus decreasing pain. Magnesium – it will help your heart, bones, joints and muscles, while also limiting muscle spasms. Brown seaweed extract – this is a fairly new supplement and it is supposed to help with joint stiffness. Keep in mind that not everything will work for you. If you know of more supplements, I’d love to hear about it in the comments! Your Mom was right all along! Eating vegetables makes you strong and healthy. It allows your body to intake all the important nutrients your body needs to function properly. It is widely known that eating five servings of vegetables a day promotes a healthy lifestyle. If you’re not a vegetable fan, you will mdr to find creative ways to bring those essential nutrients to your system. You could make smoothies, add a few cooked carrots to your mashed potatoes, or sneak in extra veggies in your family’s favorite recipes. For example, I like to chop green vegetables like zucchinis and green beans, and cook them with the meat in my pasta sauce. I would love to hear what your creativity has brought to the table. We can all agree that fibromyalgia, as a chronic condition, takes its toll not only on the body, but also on the spirit. Therefore, taking care of your mental health is as equally important as taking care of your physical health. For Fibro Warriors, nurturing our soul is not the first thing on our list. But it definitely should be. We all lead busy lives, and finding time to relax can be a challenge. As a result, we might have to get our relaxation time bit by bit. I understand this is not always practical, but it is a necessity. So, Servanne, how do you suggest we do that? Well, my dear friends, I have no cookie cutter answer for you. I know, I know. This is not the answer you were expecting. But realistically, relaxation is a personal experience. So, as always, keeping in mind that your results may vary, the best I can do is share with you what I do. Note: use common sense and do not, for example, use a hypnosis technique while driving. I personally enjoy listening to short, step by step guided relaxation tracks. Guided relaxation is when someone with a very quit and calm voice tells you to imagine a particular scenery with your eyes closed. This will usually include slowed breathing methods, and enjoyable settings, such as a tropical beach or quiet meadows. The guided relaxation can last anywhere from five minutes to an hour. I keep some of my favorite tracks saved in my phone so I can turn to them quickly when I have a few minutes. I mentioned earlier hypnosis. This is very similar to guided relaxation, but it acts on a deeper level of consciousness. This means that you may not remember what was said, but, much like an app on your phone, it will work in the background. Relaxation will very much be a trial and error journey. Finding what allows you to escape reality for a few moments will require you to try several methods. To be honest, what relaxes me varies from day to day. It can range from closing my eyes for five minutes, imagining I am in a beautiful forest, to singing to my favorite tunes at the top of my lungs. Given you have found thefibrowarriors.com, you are well on your way to have accomplished this DO on your to-do list! It is uplifting and reassuring to know that you are not alone. Being able to freely talk with people who know exactly what you are going through can be a therapeutic exercise. There is a plethora of support groups online and on social media. At the risk of repeating myself, what works for me may not work for you. You will want to find like-minded Fibro Warriors. Once you find you People, your life will become that much easier. From sharing tips to venting, a solid support system will enrich your routine exponentially. Tracking a nonjudgmental peer group can prove exhausting. From the know-it-alls to the self-centered Susie McWhinypants, the Internet is full of well-meaning characters with whom you would never associate with in real life. To find the ideal support group that will work for you, you will need to do your due diligence. The key to successfully join a powerful support group is perseverance. Don’t give up! Talk about an impossible feat! How in the world can we possibly avoid stressful situations in our busy, modern lives? This is the epitome of “easier said than done.” Nonetheless, it is crucial to try to distance yourself from known stressors. For example, if you know that grocery shopping on a Saturday in a crowded store puts you in a bad mood, maybe try making shorter trips during non-peak hours. Part of eliminating stress factors is making peace with what you cannot change. A smarter way to approach challenges is to evaluate situations beforehand, and think of all possible scenarios. If you find that there are more negative outcomes than positive results, it may be the universe giving you a hint not to go forth at this time. In addition, don’t hesitate to enroll the help of your loved ones. They may be able to defuse a potentially explosive situation, by helping you putting things in perspective, or lending a hand when needed. Of course, there are stress factors that you simply cannot avoid. You may despise your sister-in-law, but she will still be there for Thanksgiving dinner. Perhaps thunder storms put you over the edge, but unfortunately, you cannot change the weather(a quick aparte: if you own the secret to change the weather, please let me know, as I would love to become your business partner!). Your mantra will be something personal and intimate. It needs to speak to you in the most powerful way possible. I’ll tell you, these few small words have helped me through many adversities. I have found solace in aromatherapy. In a nutshell, aromatherapy is the art of using essential oils to help you regroup and recenter your soul. The use of essential oils dates back centuries. The extracted essence of plants, fruits, and nuts is mixed with a carrying oil to be transformed into an essential oil. Different essential oils will have different properties. Oils can be used in various forms. They can be applied to the skin, used in an air diffuser, mixed in a hot bath, or, sometimes, ingested. A word of caution: be mindful of the potent action of certain essential oils. Consult with your essential oil provider before applying undiluted oils to your skin, and more importantly, before ingesting essential oils. The reason is simple. Some oils are so concentrated and powerful that they can actually harm more than help if not used properly. Further more, there are essential oils that are not suitable for human consumption. In short, know what you are using. With that said, let’s talk about a few of my favorite oils. I love lavender, because it has a calming effect when used in an air diffuser. As a matter of fact, baby lotions are commonly infused with lavender. I have found that lavender pairs up with vanilla in a heavenly fashion. It does not hurt that it reminds me of the lavender bush my grandma had in front of her dining room window. By the same token, my favorite essential oil is neroli, which in layman terms is orange blossom. To me, nothing compares to the enchanting scent of an orange grove in the spring. It reminds me of the luxurious North African hammams. A hammam is the equivalent to a modern spa, where one can relax in hot pools, saunas, and steam baths. In recent years, Moroccan argon oil has gained popularity, making it easier than ever to enjoy this fabulous aroma. This brings me to my next point. Aromatherapy does not have to be solely enjoyed through specialty products. It is perfectly acceptable, and just as effective, to use everyday products such as skin and hair care commodities. There are literally hundreds of essential oils available on the market today. Some brands manufacture signature blends along with single oils. As far as oils are concerned, I prefer single “flavor” essential oils, as this allows me to blend them to my own taste. My preferences go to citrus scents, such as lemon, lime, orange, citronella, etc. I find them wonderful to awaken my senses when I feel blue. Likewise, flower extracts, such as orange blossom, violet, lavender, chamomile, etc, help me calm the tempest within. Aromatherapy is not an exact science. The idea behind aromatherapy is to actively engage all of your senses. This will help you focus on positive events you may associate with a particular scent. It is a powerful tool to combine with a mantra, as discussed in the previous DO. Matching an aromatherapy scent to a specific feeling or positive affirmation can be a compelling act. Much like during guided relaxation, you are trying to escape negative thoughts. Actually, aromatherapy is a great tool to accompany guided relaxation. “This is all nice and dandy, but what in the world does that have to do with relieving fibromyalgia symptoms, Servanne?” I’m glad you asked. As we previously discussed, tension can aggravate many symptoms of fibromyalgia. Being relaxed will allow your body to rest and rejuvenate. A well-rested and relaxed Fibro Warrior is a better Fibro Warrior! *1- For the love of all that is dear to you… Accept help! As much as you would like to think it, and as much as I love you all, you are not a super hero. You are doing yourself a disservice by trying to accomplish everything by yourself. It is unfair to you and to the people around you. If your support system is strong enough to allow you to share the burden of fibromyalgia, do not push them away. Accepting that you need help is not a sign of weakness. On the contrary, it shows that you are strong enough to know your limits. Never hesitate to say yes when someone offers to help you, be it with household chores, errands, or emotional support. This concludes my non-exhaustive list of DOs to help control your fibromyalgia symptoms. I would love to hear what you, my fellow Fibro Warriors, have found to be the most helpful way to keep those flare ups in check. Let me know in the comments. Feel free to join the discussion. Keep up the good fight, you’ve got this! 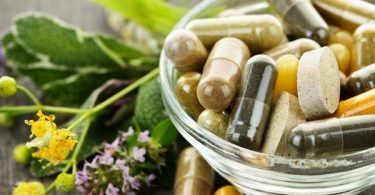 Can natural supplements really ease fibromyalgia pain?